Bombastic is a word often used to describe My Morning Jacket, especially in regards to their live sound. Their sixth studio album, Circuital, released in 2011 is Southern tinged, space rock psychedelia. Their latest work, The Waterfall is expansive, mystical soul. The comparisons of the band to Neil Young and Fleet Foxes (among others) are abundant. To say they are successful at genre-blending is both inadequate and an understatement. 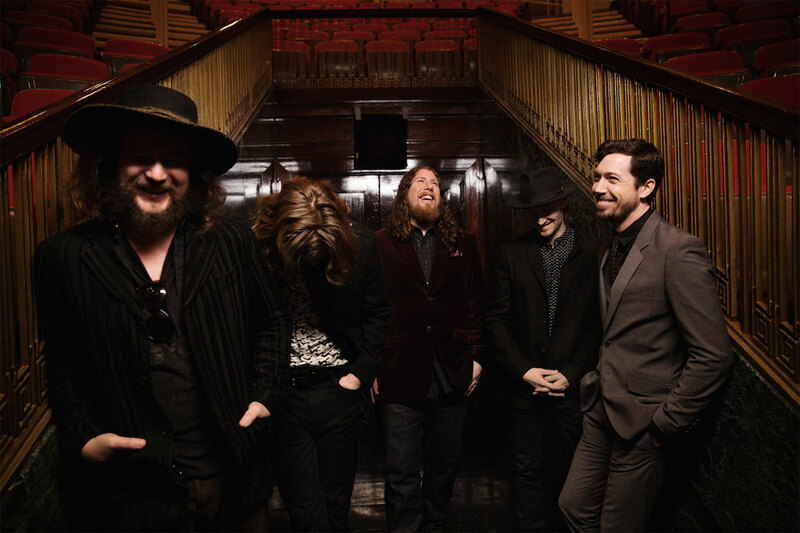 My Morning Jacket is beyond description; when you get right down to it, there isn’t another band quite like them and there isn’t a musician or songwriter quite like the band’s frontman, Jim James. A serpentine synth resounds off of the canyons walls of the new album, The Waterfall‘s opening track, “Believe (Nobody Knows)” as James lays the groundwork for the new album: “roll the dice, sail the ship, and all the doors will open”. It is an album wrought with anguish from a failed relationship and injury but despite the heavy themes, the album maintains the positive pace set by the opening track throughout. James has never been one to wallow in his heartache but he uses it instead to his creative advantages. Following Circuital, James embarked on a metaphysical journey that transferred him into a new plane of existence; the outcome was his first solo work, Regions of Light and Sound of God. 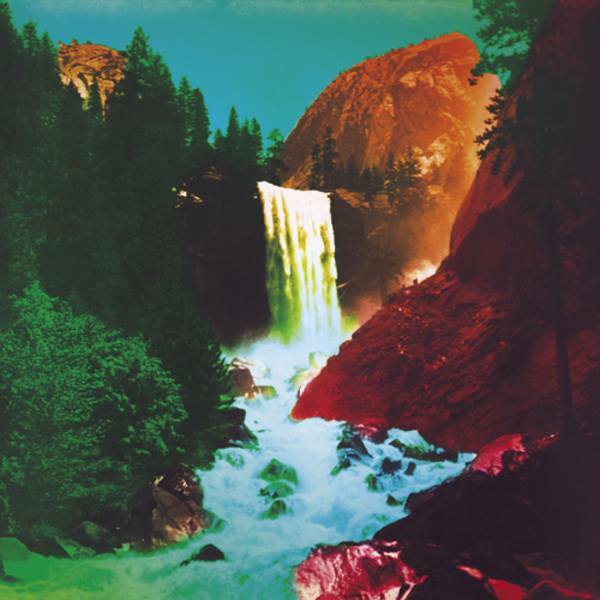 The Waterfall is a collision of James’ spiritual enlightenment, inspiration sparked from its idyllic, coastal birthplace, and the kaleidoscopic energy of My Morning Jacket as a whole. My Morning Jacket convened on California’s Stinson Beach to create The Waterfall and the area’s natural beauty peaked the band’s creative energy. Even the album’s title was drawn from the band’s time secluded in nature; it is metaphorical for life and its ability to beat down upon you. Elsewhere on the album, Jim remains positive as he praises the beauty of renewal. He croons that he’s ready for Spring, “its beauty changes, changes everything” on “Spring (Among The Living)” and a natural scenescape is created as James’ falsetto floats down a glistening cascade of strumming on “Like A River”. The time in Northern California also left its mark on The Waterfall in the way of a 70’s classic rock vibe that shines through on much of the album. “In Its Infancy (The Waterfall) and “Tropics (Erase Traces)” could be broader, interplanetary, missing tracks from Crosby, Stills, Nash and Young’s Déjà Vu. The vulnerable balladry of “Get The Point” could be the prequel to The Beatles’ “Blackbird” and while it is a song about the end of a relationship, James maintains his Southern gentleman persona, singing, “I wish you all the love in this world and beyond,” but bluntly adds, “I hope you get the point, the thrill is gone”. The Waterfall is a cohesive, refocused work from My Morning Jacket and could be regarded as a “return to form” or even a “reinvention”. In actuality, it is continued proof of their ability to consistently redefine their sound, to evolve beyond the genre norms. My Morning Jacket’s audience will be on the edge of their seats, speculating as to what is next, for years to come.